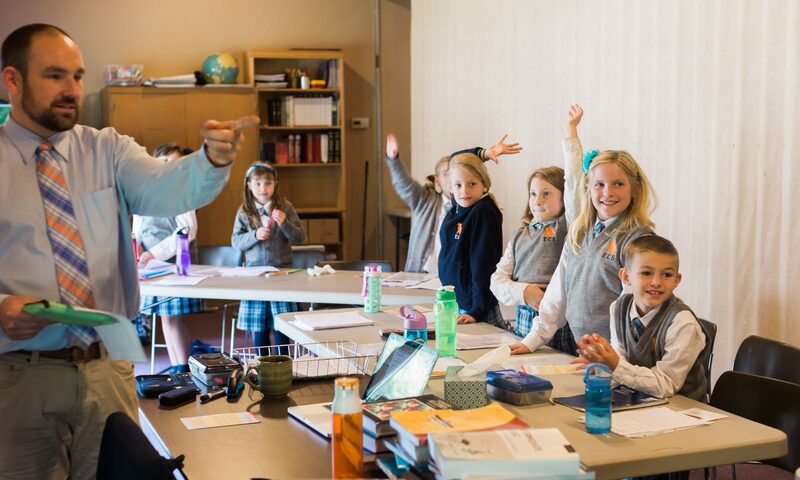 Week four at ECS brings us to a study of The Code of Hammurabi, an ancient Mesopotamian series of laws that predates Moses by a thousand years. Hammurabi was ruler of Ur in Abraham’s day and had a rather expansive and lengthy rule. Surviving today are about 250 laws etched in an eight-foot stele that also features an image of the king receiving the laws from the sun god Shamash. Most likely, this stele was a trophy, changing hands multiple times as its possessors were conquered. Somewhere in there, some thirty-five laws were scratched out, otherwise we’d have just over 280 laws. Last week we observed an example of a savior story from the mind of men in The Epic of Gilgamesh that contrasts starkly in a number of ways from the great savior story of Jesus Christ. But for all of its differences, there are some similarities, which stem largely from a common state of mankind four thousand years ago and two thousand years ago (and today! ): man is completely corrupt and in dire need of rescuing. Justice. Given that the image of God is in all men, and given that the law of God is inscribed on the hearts of men, it comes as no surprise that some of the laws in The Code are just. Civil order. If a people would apply The Codes of Hammurabi and Moses, each offers a recipe for civil order. The Lex Talionis, or “the principle that a person who has injured another person is similarly injured in retribution” (hat tip to Wikipedia for the helpful, concise definition.) There’s lots of eye-for-an-eye type language in The Code, which also pops up in Moses, too. Sanctity of human life. The Code of Hammurabi represents a lower view of human life than Moses. For instance, in The Code of Hammurabi, the consequence for theft is to repay ten- to thirty-fold. If that’s not possible, the thief is executed. That’s never the case in Moses. Favoring the privileged vs. protecting the oppressed. Protection of the oppressed is near to God’s heart; not so much with Hammurabi. Many of Hammurabi’s laws favor the free and wealthy. Justice. Though some of The Code of Hammurabi is just, much of it is eminently unjust. There is no injustice at all in the law of Moses. Mercy. The notion of mercy is exceedingly rare in Hammurabi, but appears with regularity in Moses. The focus of the laws. The vast majority of The Code of Hammurabi concerns money, property, and business transactions. While these are addressed in Moses, the focus on moral laws, loving and honoring God and taking care of man’s relationship to God are strong emphases in Moses. These are but a few of the differences that pose real problems for those who try to argue that Moses borrowed from Hammurabi. The two codes (i.e., of Hammurabi and of Moses) come from different starting points and points of authority. Flashing back again to last week, in the person of Gilgamesh we are offered an example of what sort of a savior we could expect if we were left to ourselves: a fearful, corrupt, powerful, but ultimately impotent mortal who is a lot like us. Gilgamesh contrasts with Christ. The Code is the law as written by man. In The Code of Hammurabi we are offered an example of a system of laws that represents man’s best effort at justice…and it’s colored profoundly by Hammurabi’s self-promotion and self-interests. 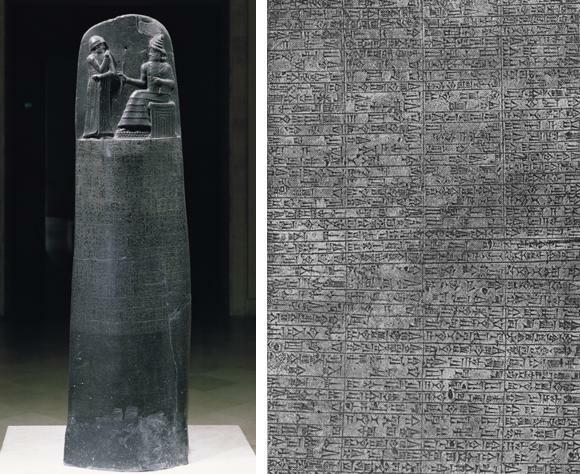 The Code of Hammurabi contrasts with the Code of Moses, which comes from the true God, is inspired and reflects His just and unchanging nature. If you’re interested in a more complete defense of any of these points, you could ask me, but why not read The Code yourself? It only takes a few hours and will give you a deeper understanding of the heart of man and appreciation for the heart of God.